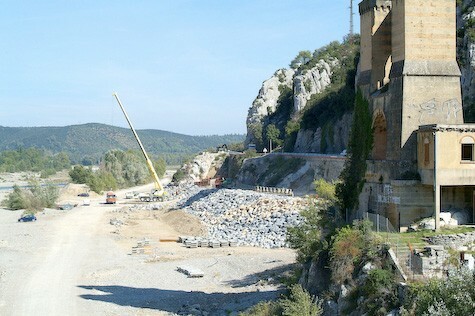 The road along the EDF Canal near Charleval and La Roque d'Antheron, where massive rocks had to be removed in order to widen the riverbank for the ITER transports, is ready and covered with tarmac. Once the ITER convoys have passed through, the new path will serve as a cycle- and footpath. Progress is also visible at Saint Christophe, where the convoys will have to bypass two old houses and, near their final destination, the Pont de Mirabeau.